Whether individual behavior in social settings correlates with behaviour when individuals are alone is a fundamental question in collective behaviour. Evidence for whether behaviour correlates across asocial and social settings is mixed, however, and no study has linked observed trends with underlying mechanisms. Consistent differences between individuals in boldness, which describes willingness to accept reward over risk, is likely to be under strong selection pressure. 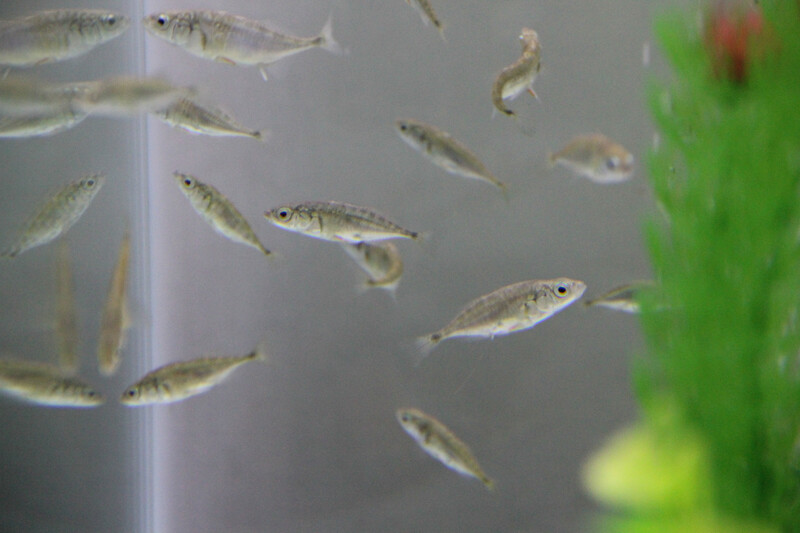 By testing three-spined sticklebacks (Gasterosteus aculeatus) in a risky foraging task alone and repeatedly in shoals, we demonstrate that the expression of boldness in groups is context specific. While personality is repeatable in a low-risk behaviour (leaving a refuge), the collectively-made consensus decision to then cross the arena outweighs leadership by bolder individuals, explaining the suppression of personality in this context. However, despite this social coordination, bolder individuals were still more likely to feed. Habituation and satiation over repeated trials degrades the effect of personality on leaving the refuge, and also whether crossing the arena is a collective decision. The suppression of personality in groups suggests that individual risk taking tendency may rarely represent actual risk in social settings, with implications for the evolution and ecology of personality variation. The paper also got some nice coverage in Scientific American.